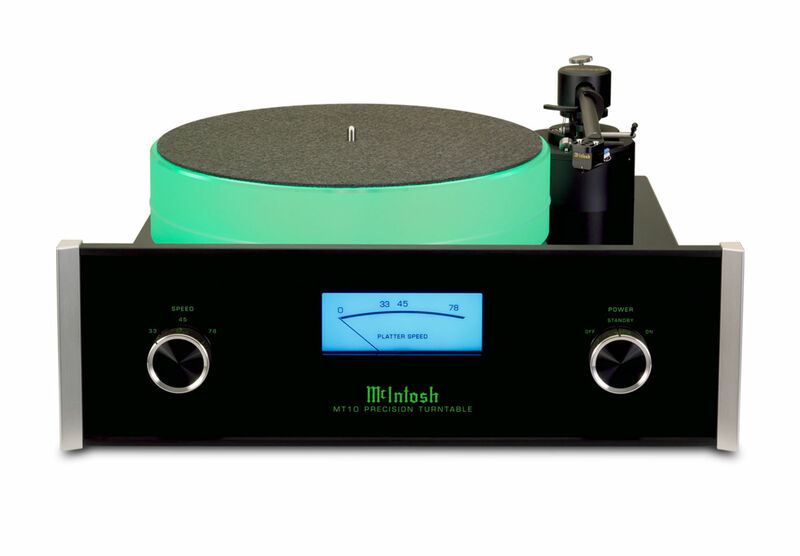 The McIntosh MT10 Turntable marries classic McIntosh glass front panel cosmetics with serious mechanics to create a unique, ready-to-play LP solution. 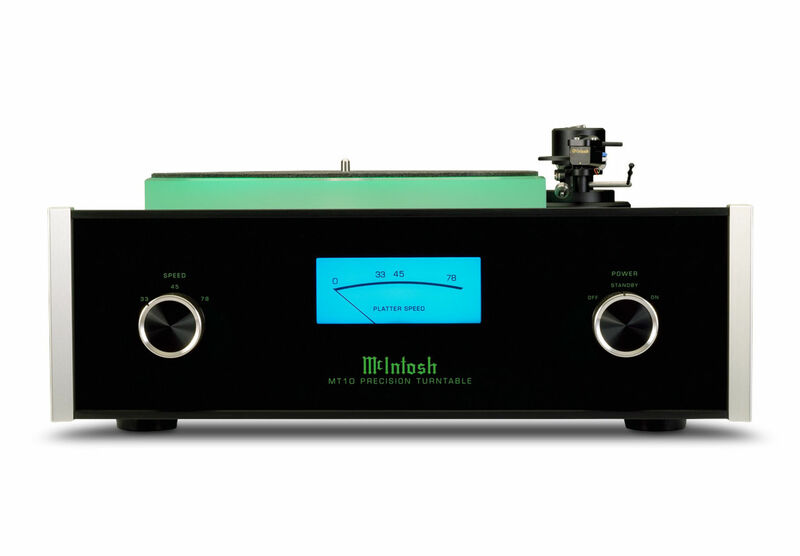 The McIntosh MT10 Turntable marries classic McIntosh glass front panel cosmetics with serious mechanics to create a unique, ready-to-playLP solution. 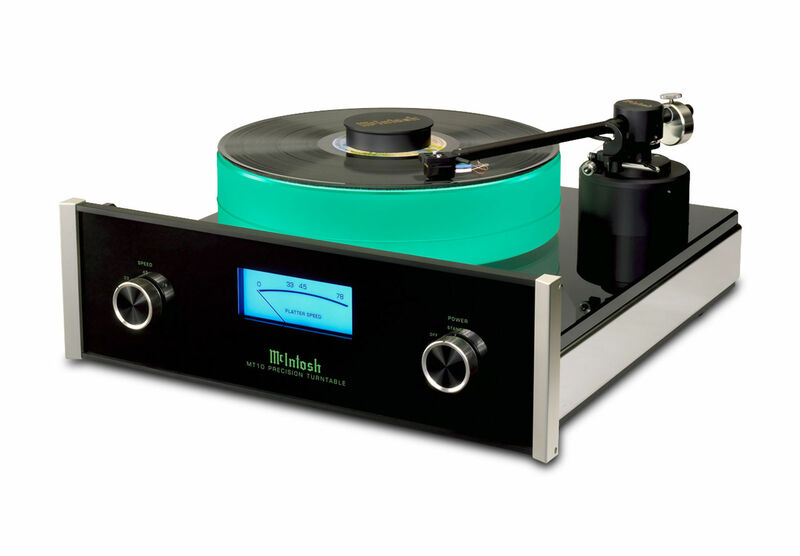 With tracking force, anti-skate and cartridge position preset at the factory, the McIntosh MT10 delivers high performance LP playback with minimal set up. A custom tonearm features a rigid, dural-aluminum arm-tube gimbaled in two sapphire (horizontal) and two ceramic (vertical) bearings for the least possible friction. A .5mV moving coil cartridge is included, and features an ebony body with an ellipitcal stylus. Tracking force, anti-skate and cartridge position are all preset. The MT-10 is ready to use just moments after unpacking. The MT10 tone arm features a specially dampened Dural-Aluminium armtube. 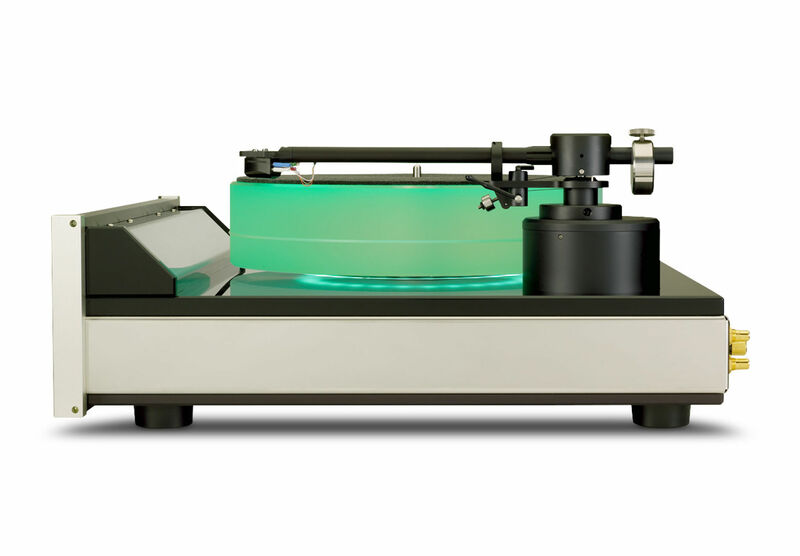 The light weight and rigidity of the tone arm is an ideal mate for the custom, medium-weight moving coil cartridge. The platter is CNC machined from a special silicone acrylic material to a weight of twelve pounds and a thickness of two and one-half inches for near immunity to bass-robbing resonances. 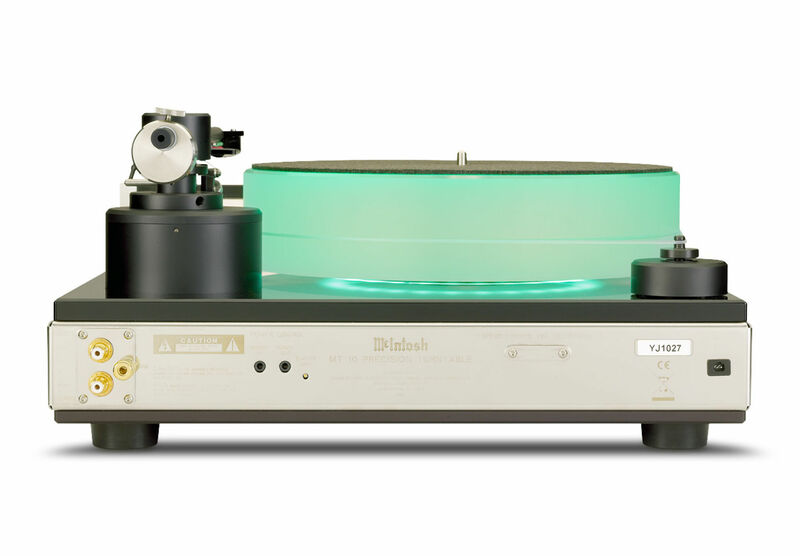 The MT10 Turntable Platter rotates on a special magnetic bearing; literally suspended on a cushion of air for near friction-free performance. 17-1/2" (44.45cm) x 8-13/16" (22.38cm) x 21" (53.34cm)Note: Tone Arm Height will vary depending on the type of Cartridge installed.